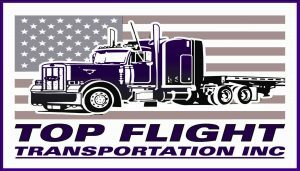 Welcome to Top Flight Transportation, Inc.! We expertly manage and arrange freight shipments across the greater United States and into Canada. Carriers, please find our current Loadlist below. New or existing carriers, visit our Carrier page; potential or existing customers visit our Shipper page. Click here to learn more about Top Flight Transportation.